The rain-fed farm yielded enough grain for R. Madappa to feed his family. During the dry season, he would migrate to nearby towns for daily-wage work. 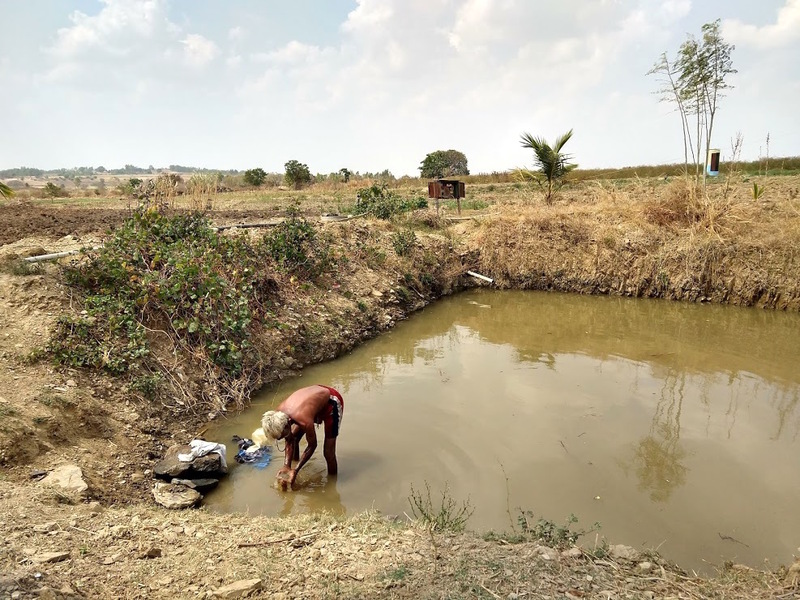 When the technology to retrieve groundwater arrived in his native Vennonayakahalli village in Davanagere district of Karnataka, he hoped to make the best of it. He got his first borewell in 1994, reaching 300 feet below ground but it dried up within a year. He went for another one, going deeper, and then another and yet another. By 2003, he had sunk 11 borewells on 10 acres of his land, the deepest one going up to 800 feet down. As agriculture and industrialisation become more intense, many parts of India are already facing water shortages, not to mention a lot of the water available is brackish. So they are using borewells to access – and soon drain – the deep aquifers. Expenditure on borewells is one of the reasons for mounting farm debt. This is why artificial recharge of aquifers is essential. “So far, around 2,000 farmers have taken loans of upto Rs 25,000 from us to get their borewells recharged,” said Shivakumar H., a manager at the Kurubarahalli branch of the bank. 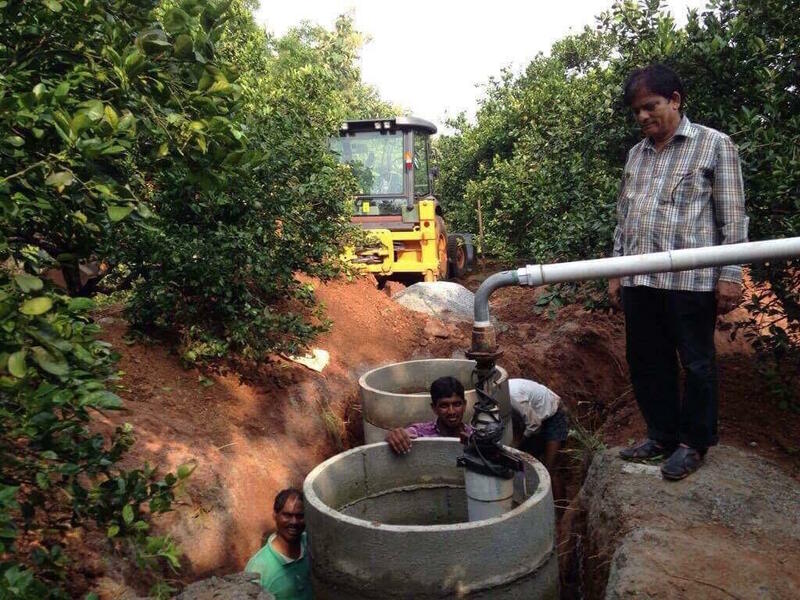 “We hold awareness programmes with farmers’ clubs to spread the message further.” The cost of a borewell recharge may vary from Rs 20,000 to Rs 32,000 depending on the design. More exhaustive awareness campaigns through crop water budgeting and better market links for traditional crops can ensure that the water saved is also used well. Water budgeting is gaining currency across the country thanks to experiences of villages which continue to squander off their hydrological resources to meet market demands. Farmers in semi-arid Punjab are growing paddy that has depleted groundwater tables while their counterparts in north Karnataka irrigate arecanut plantations by sinking multiple borewells which fail regularly. Paddy is more suitable for high rainfall plain areas like West Bengal and Kerala and arecanut does well in coastal areas besides parts of Western Ghats which experience wet weather. Water budgeting helps farmers recognise such follies. Under this, rain gauges, sensors to calculate groundwater levels and estimation of water needs help farmers plan well. When water is less, more water demanding crops are replaced. Read more about water budgeting here. This story was first published on The Wire. Reporting for this story was supported by the WaterAid India ‘WASH Matters 2018’ Media Fellowship Programme.